I sat back in the cool leather, passing that one to my husband, who duly responded that he did not give them much of a chance. The taxi driver scratched his head. He was not amused. He had put a significant amount of money on the Dutch team. The odds against them had been good, and last tournament he had made some good cash supporting the orange lion. 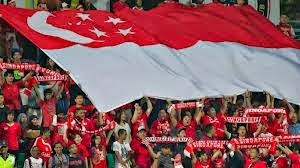 A heated debate between the two men followed, discussing the strengths and weaknesses of the team, leaving me silent, and surprised that this Singaporean taxi driver could not only name several players of the Dutch team, but was perfectly equipped to debate their capabilities on the field as well. I, by contrast, would struggle to name a single player. I am sure Gullit retired some years ago? Which football team to support is an important matter for a young (or slightly older) boy. My son struggles at school, being one of the few to support PSV in a group full of Ajax fans. Admirably, she stands by his daddy, even though he has never set foot in Eindhoven, PSV’s hometown, in his young live. It never ceases to amaze me that where you are from has little to do with the choice who to support. 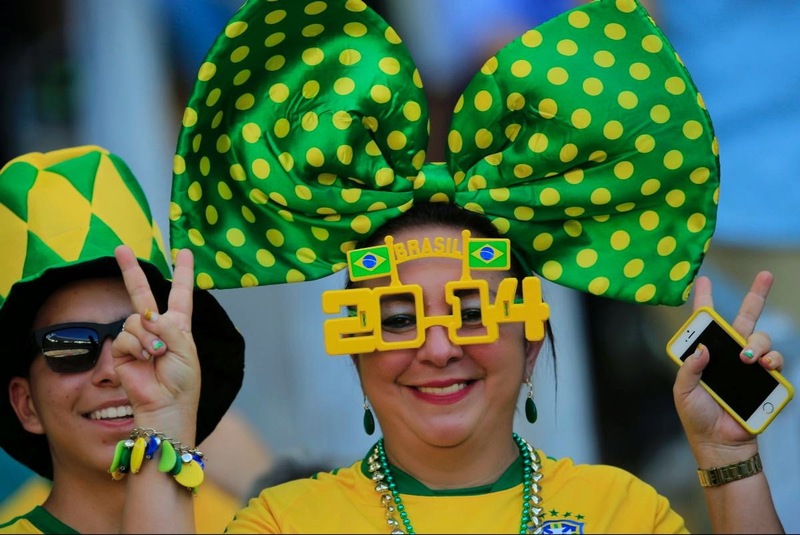 World Cup matches are screened widely here, but since Singapore is not competing, the locals have not gone mental. Unlike others. Personally, I find watching the crazy crowds far more entertaining than the game. 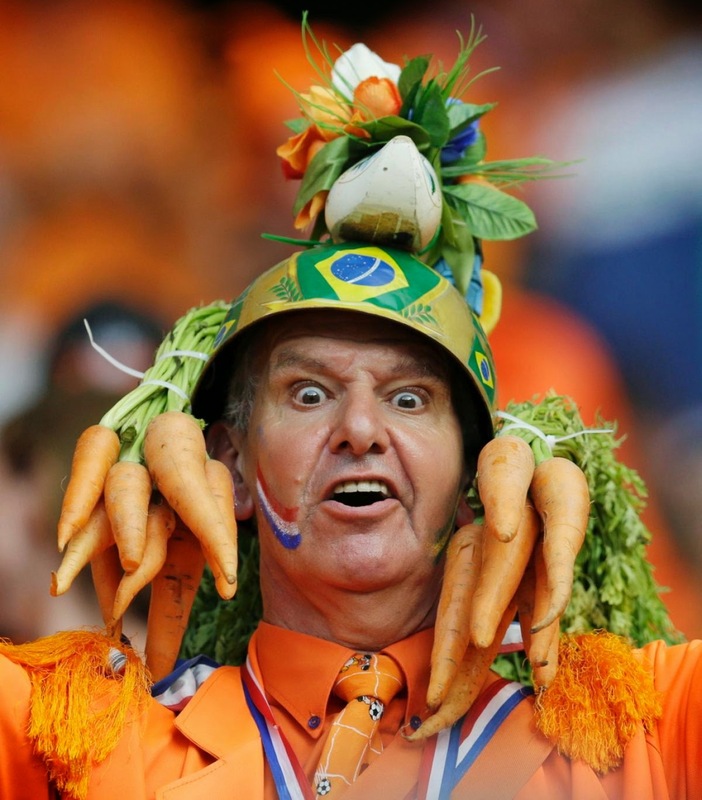 Dutch fans are some of the worst. To the annoyance of serious fans like my husband, who claims that the more people dress up, the less they really care about the game. 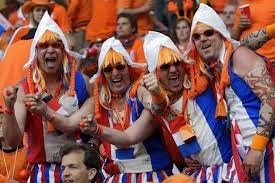 Amongst Dutch fans try to spot ‘carrot man’, who wears a helmet with dangling bunches of carrots over his ears, the ‘badmutsman’ (or ‘bathing cap man’, I am not joking) or ‘the Indian’ between the legion of milkmaids (all male), lions, cowboys and other ludicrous loony’s. Read the full story in Hollandse Club's The Magazine's new issue soon. In the meanwhile, check out this site for more crazy fans..